In a perfect world, all of the signals we wish to view on our oscilloscopes would be as pure as the driven snow. However, in most scenarios, reality intervenes. As we know, everything in a system is an antenna, some being more efficient than others in terms of radiation and/or reception. Hey, crosstalk happens, and if you've got a sine wave and a square wave co-existing in the same general vicinity, it could make a true evaluation of the square wave difficult to do. But how do we get that nasty sine wave coming from one circuit to stop jumping on the back of the square wave in another? 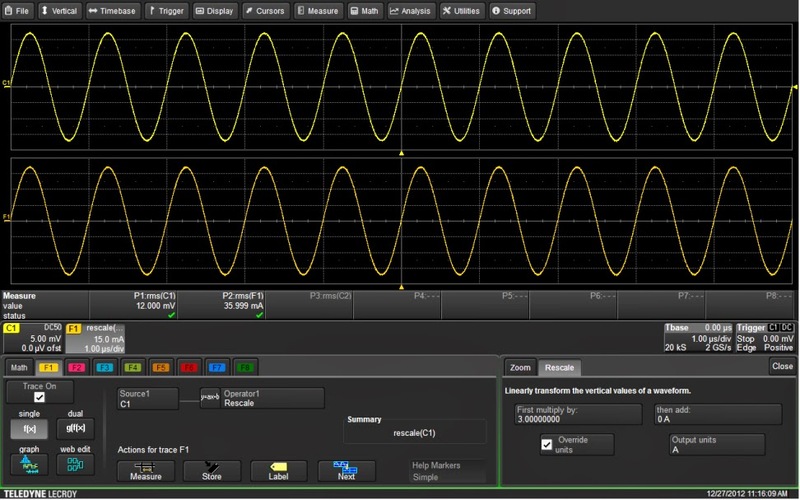 As we know, an oscilloscope is essentially an instrument that measures a constantly varying voltage as a function of time. Those measurements are subsequently analyzed to derive other properties of the input signal, such as frequency, amplitude, rise/fall times, and so on. But what about measurements of other electrical quantities as a function of time? When troubleshooting or debugging almost anything, the first step is usually to check what's going into the device or circuit and what's coming out on the other side. So it is with power supplies, which leads us to power line monitoring and trend functions. A recent post covered some of the reasons why one might want to measure jitter. In design and debug of serial-data channels, jitter is among the most prevalent causes of unacceptable bit-error rates (BERs). In that earlier post, we looked at the physical phenomenon of jitter and why it wreaks the havoc that it does. In the present installment, we will look in broad terms at how jitter is measured and quantified.